Issa had used his chairmanship to launch numerous investigations of the Obama administration on issues such as Benghazi, as well as to push forward cuts in postal service and more. But Issa drew fire for his watchdog role. 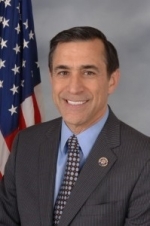 In 2012, Citizens for Responsible Ethics in Washington (CREW) gave Issa a dishonorable mention on its annual list of most corrupt members of Congress. Issa proved largely ineffective as Chair. Despite issuing triple the number of subpoenas as the prior three chairs combined, Issa’s investigations yielded no tangible results, drawing criticism that the self-proclaimed “watchdog” wastefully expended taxpayer dollars on investigations targeting the Obama administration on unsubstantiated claims, while failing to launch investigations against corporations charged with the same allegations. A report by the Republican-controlled House Intelligence Committee debunked the Benghazi allegations as unsubstantiated. The San Diego Congressman will now chair the Intellectual Property Subcommittee instead. The new House Oversight chair, Rep. Chaffetz, has indicated his priorities will be to target the U.S. Interior Department and the Environmental Protection Agency. Chaffetz’s home state, Utah, is rich in oil and gas on public lands that he is expected to seek to open up for energy development, striving to balance energy needs with protection for wild lands, water and climate, according to an article in Energy & Environmental News. Your lead on the cover states "Meanwhile in Congress, San Diego representative Darrell Issa has been removed from chairmanship of the powerful House Oversight committee, demoted to chairing a subcommittee on intellectual property rights." He "termed out" which in my book says something very different that "removed." Guess I didn't realize how biased your articles, or should I say editorials are. Yes, Issa was term-limited...something your article seemed to leave out. Democrats, when they are in power, have no limit on how many years a Chair may serve and choose their chairs based on seniority. ....any of them have done lately. Our founders are rolling in their graves. "Issa proved largely ineffective as Chair." I realize you're a staunch Democrat, but this "news" seems to be slanted as an editorial, more than reporting what's going on. Well, said. Issa termed out, not booted as the article said. Name something he accomplished then. I am actually not a staunch Democrat and have published plenty of stories critical of Democrats too. As for Issa's committee chairmanship, I haven't even seen accomplishments listed on his own site or the committee's. I am not aware of a single thing he investigated that panned out. If I'm wrong than please provide documentation of something he actually did accomplish in his role as chair and we'll be happy to publish it. ...NO ONE was thinking of Fast and Furious, the IRS, Benghazi, etc. when they went to the polls this last November. Issa is smiling all the way to the control of the House AND Senate. Even though the investigations proved essentially without merit, he stirred up voters with false or unprovable allegations, so in the sense that his bogus investigations helped hand over control of Congress to his political party, he succeeded. 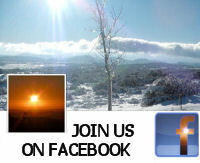 ...the smear flyers in Alpine.